The Constipation Crisis Kit has everything you need to unblock the blockage. This kit is perfect for people that are full of crap! 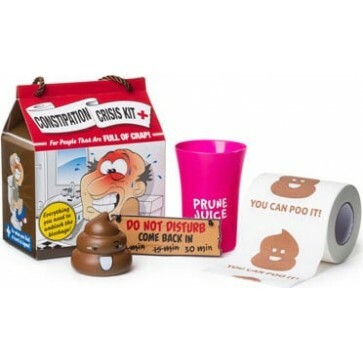 Kit Contains: Do Not Disturb Sign, Poop Shaped Stress Ball, Prune Juice Cup, and Inspirational Toilet Paper.